Your faithful canine companion isn’t just for staying at home, waiting for their master. They can become film and TV stars as well! Here’s 5 famous, extremely well-trained dogs in movies and television, in no particular order. The phrase “Scooby Doo, where are you?” might induce an endless-playing song in your head, but there’s no doubt that this Great Dane is known all throughout the world. Scooby, Shaggy and the gang of mystery-solving misfits go where no one dares and manages to save the day and uncover the masked villain scheming behind the scenes. Did You Know? 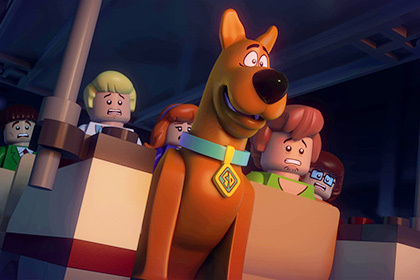 Scooby Doo held the Guinness World Book Record for the 2006 edition for the most episodes in a cartoon series. The cartoon’s 350 episodes outnumber the Simpson’s 335 episodes and Tom and Jerry’s 209 episodes in 2004.
Who could ever forget the lovable, black and white beagle of Charles Schulz? Although Snoopy started out in comics, this human-like dog catapulted to the bigger world of film. He has become one of the most iconic characters of all time. The last appearance of Snoopy was in the recent 2015 “The Peanuts Movie”. Ain’t Charlie Brown lucky to have this pet by his side? Did You Know? Snoopy was an inspiration for Charles Schulz’ family pet named Spike. He wasn’t able to “verbalize” his thoughts until around a couple of years after the canine appeared on the comic strips! Who is Hachi, and why do people get misty-eyed whenever his name is mentioned? It all has something to do with a poignant, true story of an Akita Inu who has devoted his entire life to his owner. You see, Hachi was left behind by his owner and never came back. The dog kept on revisiting and waiting for his master until his last breath. A true heart-warmer that you must watch at least once! Did You Know? Hachiko’s story became widely known in Japan in 1932 by an article made by Hirokichi Saito. The people loved it so much they made Hachi a public icon. All dogs are inherently loyal, but there are some that are more loyal than the other dogs. Meet Lassie, the super dog who is able to do it all, and still remain a good-natured pet to her owners! The half-collie represented all the good things a dog could have- bravery, a sense of honor and the ability to save people’s lives. Did You Know? Lassie is originally a female dog as portrayed in TV, but her stand-ins are all male dogs! The reason for this is because male dogs retain their shiny, healthy coat during summer. Beethoven is a slow, fun-loving dog in the movie featuring the same name. He’s big, he drools and he stumbles around but his loyalty and protective nature wins the family over. Did You Know? The movie came under fire because their portrayal of a vet as a criminal dognapper irked the American Veterinary Association.